Vivek Maru: How Can We Make Legal Support Accessible To All? Vivek Maru on the TED stage. Part 4 of the TED Radio Hour episode Hacking The Law. Often, people who don't understand the law or can't pay for lawyers end up being mistreated. 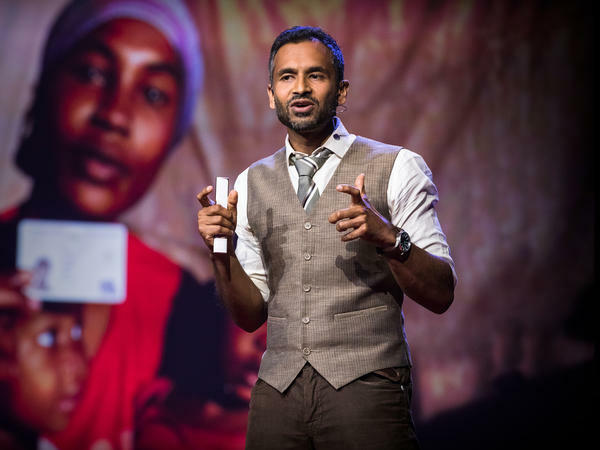 Lawyer and social entrepreneur Vivek Maru calls for a global community of paralegals to place the law on the side of the people. Vivek Maru is the founder and CEO of Namati, an organization that builds networks of community paralegals across the globe. These paralegals have worked with over 65,000 community members to protect their basic rights and community lands. Maru also convenes the Global Legal Empowerment Network, an organization of more than 1,000 groups from 150 countries who come together to tackle common legal challenges. Before founding Namati, he was a Finberg Fellow at Human Rights Watch, a senior counsel for the World Bank's Justice Reform Group, and the director of the World Bank Justice for the Poor Program in Sierra Leone. He was named an Ashoka Fellow and one of the Schwab Foundation's 2017 Social Entrepreneurs of the Year.